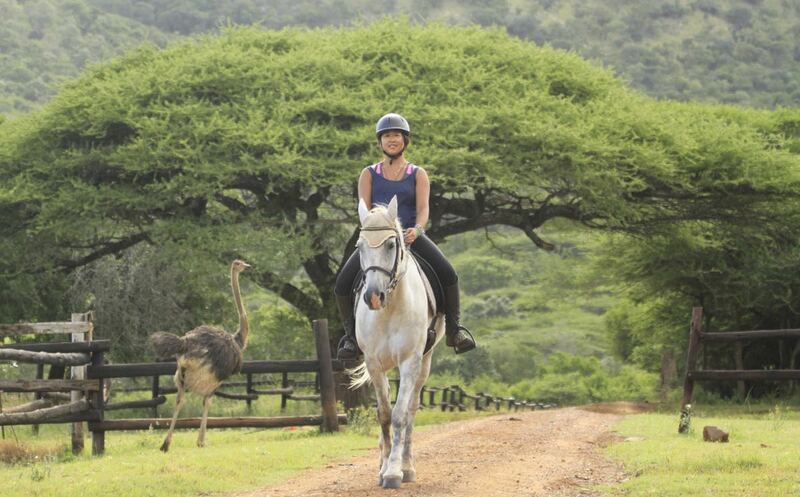 Our guest from England is enjoying her leisurely outride on Apache, accompanied by one of our ostriches. 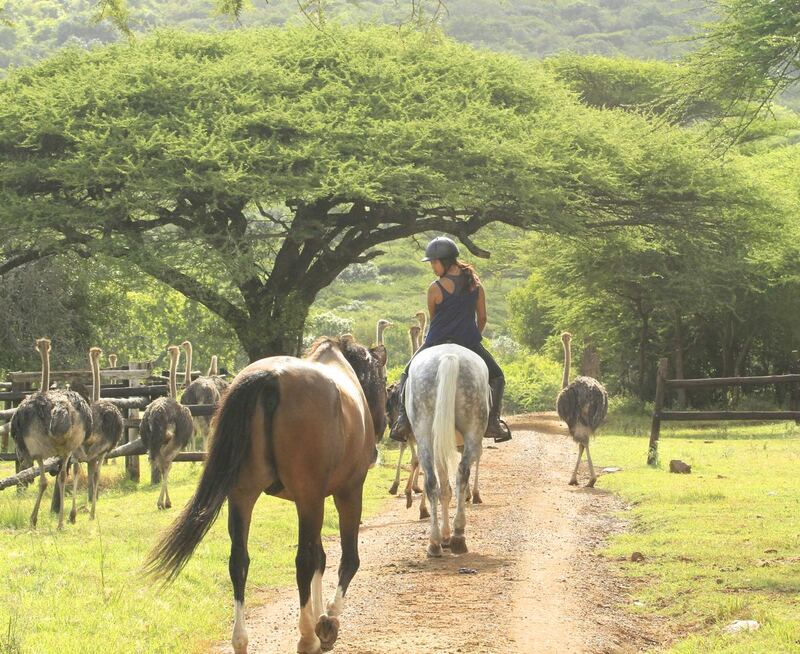 She is also followed by one of our Safari horses, Nkosi! 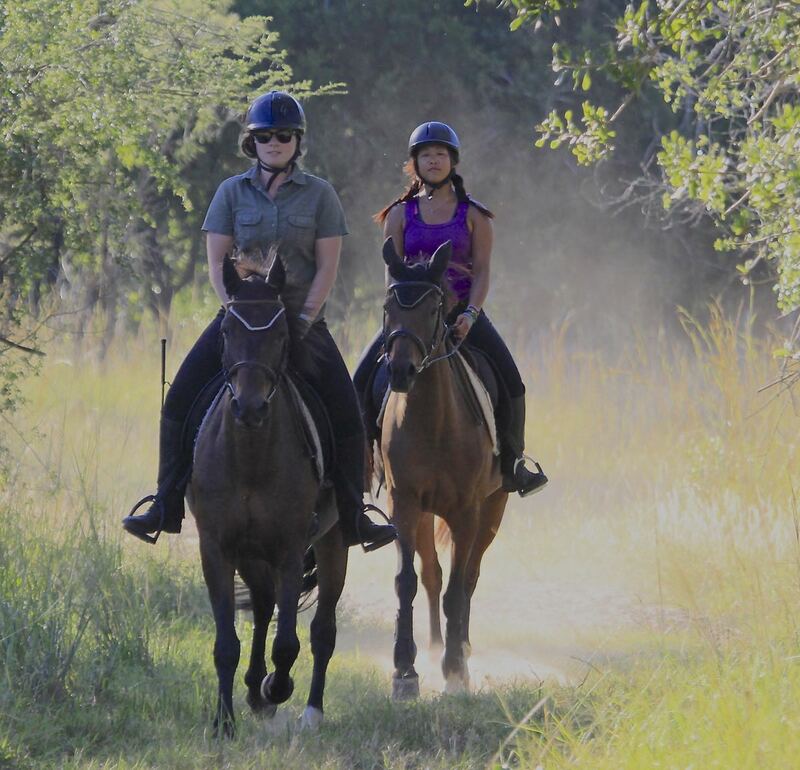 Cantering along in the Pakamisa Private Game Reserve, two Amazons enjoying their afternoon ride.